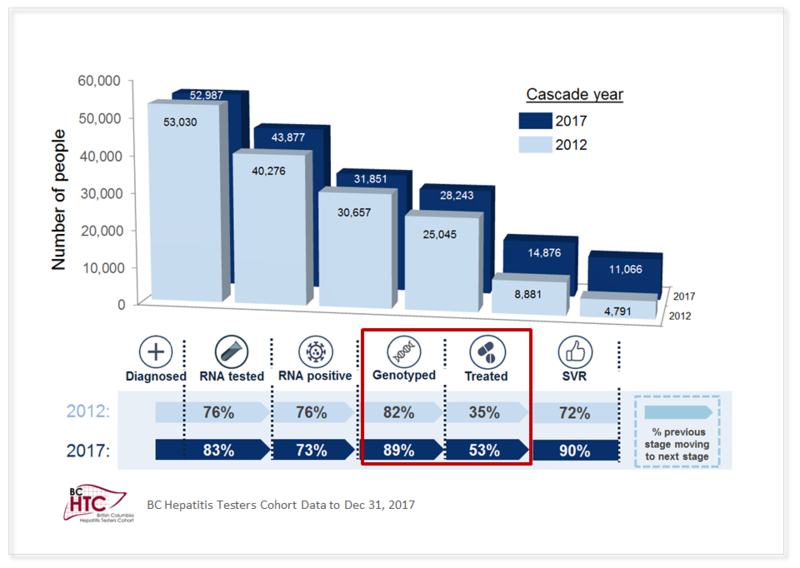 The BC Hepatitis Testers Cohort (BC-HTC), believed to be one of the most powerful HCV databases in the world, contains anonymized independent medical records health records of 1.7 million patients over 25 years. The database reveals how many people living with HCV are getting the care they need. Although national-level data on actual engagement in HCV care is not yet available, what is seen in the BC data provides a snapshot of what is also likely occurring in Canada overall. View the HCV ICJ: key journey points for people at-risk or diagnosed with hepatitis C and resources that go with each stage of care. The BC-HTC database was created by researchers from the University of British Columbia and the BC Centre for Disease Control (BCCDC) to better measure health outcomes and to assess the effectiveness and impact of various treatments and services. 6) achieved sustained virologic response (SVR). The recent availability of highly effective and well-tolerable drugs is considered a major medical breakthrough; however, the cost of these drugs is a concern impacting its uptake, calling for a system to monitor infection and the uptake of treatment and cure. 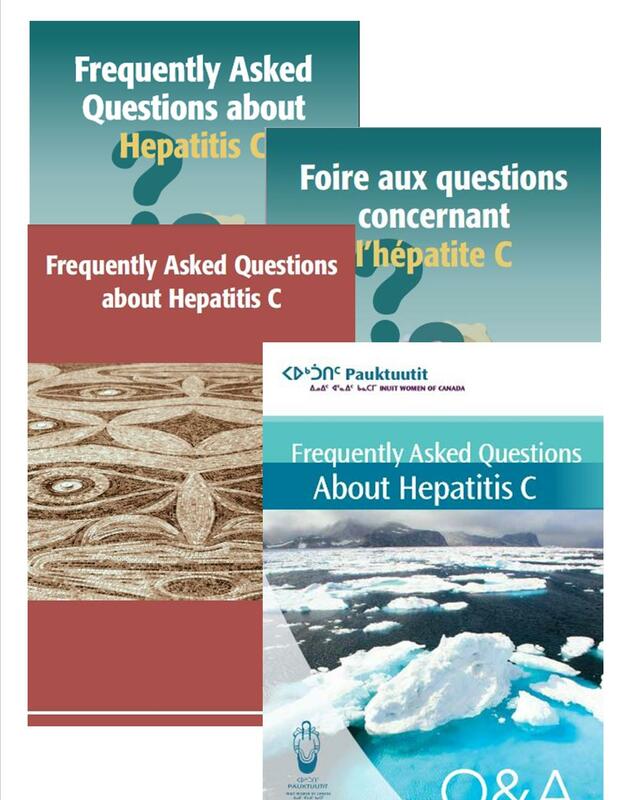 In Canada, about 210,000 to 460,000 people have HCV, but as many as 20-40% are unaware of their infection [2-3]. Even though HCV incidence is declining, sub-optimal levels of engagement in care may be contributing to the fact that morbidity and mortality related to chronic HCV infection are increasing [4-6]. 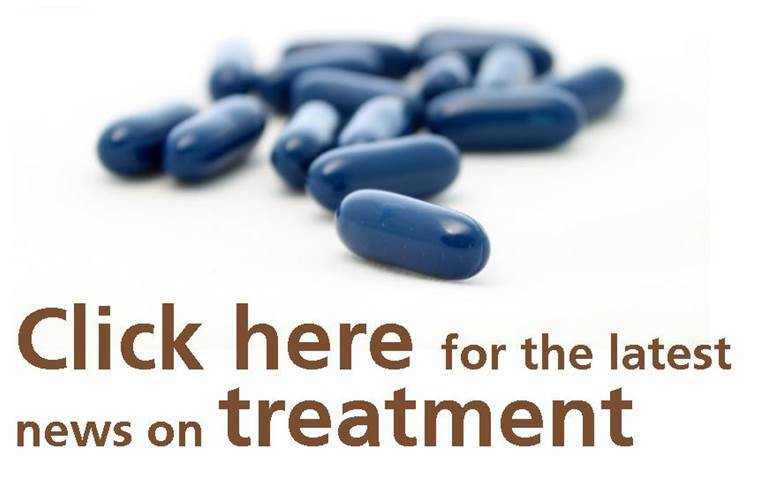 Patients not engaged across the HCV Illness and Care Journey (HCV ICJ) may face substantial liver damage and other complications including cirrhosis, liver failure, liver cancer, and premature death .